blog | GSE Audiovisual, Inc. Written by gseav on February 2, 2017 . Posted in Uncategorized. Written by gseav on March 21, 2016 . Posted in LCD-LED Seamless Video Wall, LED Video Wall, Video Processors. GSE AV now has custom media servers that can push video wall resolutions up to a maximum of (2) 8K (7680×4320) displays or one Ultra-Wide 16K (15360×4320) all from a single media server. Since the highest resolution you can get on a single monitor is currently 4K/UHD (3840×2160), these resolutions can only be achieved by: creating a video wall, either seamless LCD LED video walls created from displays such as the NEC 464UN-2; from LED Tiles such as the Absen 3.9mm LED Panel; or through the use of projection blending. There is a lot of planning involved with getting a perfect pixel-to-pixel resolution match from your source media to your video wall. GSE Audio Visual specializes in designing, implementing and supplying all the necessary equipment to achieve your maximum resolution goals. When you want to have the highest resolution possible for your video wall, we can help. Call us at 888-573-6847 or Request a Fast Quote to discuss your maximum resolution needs. Written by gseav on March 21, 2016 . Posted in Video Processors. For large-scale video wall productions, we offer nationwide rentals with experienced professional operators for the Christie Spyder X20 and the Barco E2. These devices offer full show control in one box and are ideal when you have multiple video input streams for live switching, picture-in-picture and transparency layers for your video output. Raising the bar for live screen management, the E2 presentation system provides superior image quality, exceptional input and output density, great expandability and durability. Supporting native 4K input and output, it is the first and only screen management system on the market that can manage a 4K projector blend with refresh rates up to 60Hz. A truly versatile system, it offers eight mixable PGM outputs and four scaled Aux output for full show control with a single box. GSE Audio Visual offers nation-wide rentals for all of its audio visual equipment inventory. For a fast quote, call us at 888-573-6847 or submit an online quote request form. GSE Audio Visual set up of a 66′ x 16′ LED Videowall. Written by gseav on July 13, 2015 . Posted in Uncategorized. Ultrawide 5K LED Videowall. 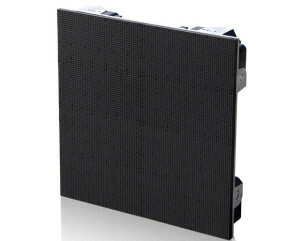 66′ x 16′, 400-tile, 5120 * 1280 3.9mm LED video wall. GSE Audio Visual Inc. recently set up a 66′ * 16′ LED videowall consisting of 400 3.9mm LED tiles at 5120 * 1280 resolution. As LED video walls take the audiovisual industry by storm, it’s more important than ever to have an experienced team to set it up and ensure it looks good and your event runs smoothly. GSE Audio Visual has trained and certified LED video wall technicians who have the experience necessary to ensure the proper set up and display of LED video walls. For more information on LED panel video walls, go to www.gseav.com or call us at 888-573-6847. Written by gseav on August 13, 2014 . Posted in Uncategorized. There are over 200 Audio Visual companies currently listed in E2MA’S* directory. That is a lot of providers to choose from. So let me ask you a simple question: How do YOU choose YOUR provider? Do you go on a Search Engine and see what the top three results are? Do you trust a company who is most likely paying to come up on those top results for your search? Or is your style traditional and you go by the company’s name? A big company name you recognize, it must be safer to choose them, you might think. But why not think about your client before choosing the right Audio Visual provider for your next project? Why not choose a provider that is not only going to get the job done, but also go above and beyond to meet your expectations and go the extra mile with ANY job, no matter how big, no matter how small. The truth is that many companies offer the same products at the same prices and it may be a difficult decision to make. At the end of the day, you want to make your client happy and you make them repeat customers. Offering them what every other exhibit house, designer and builder is already offering is not going to cut it anymore. You have to give them MORE. YOU have to be DIFFERENT. So, how can YOU differentiate yourself from your competition? Why not start by working with a company that focuses on what’s most relevant for your critical clients. From the minute we start working on a project until we start packing our equipment up, we are there with the client, catering to their needs, emphasizing on giving outstanding customer service and technical support. The client’s needs are constantly evolving. So are we. No business can stand out if it blends in. And we stand out by listening to the client before anything else and giving them prompt solutions. We have an experienced team that’s passionate about their work, and it shows. More than anything we are dedicated to our clients. They are the fuel of our company’s passion for this business. So what do you really need to make your next project even more successful? You need GSE Audio Visual. Written by gseav on July 16, 2014 . Posted in Products, Uncategorized, Video Walls. GSE Audio Visual rents NEC 55″ Seamless Videowall panels nationwide, including Orlando, New Orleans, Atlanta, Chicago, New York, Las Vegas, California and all other cities in the U.S. The 55” NEC X551UN takes your LCD video walls to new levels of impact. This professional-grade large-screen display is designed for the rigors of 24/7 operation while introducing new levels of impact to your facility. Advanced technologies of this model include direct LED backlighting for improved uniformity, full high-definition resolution (1920 x 1080) and a 5.5mm distance bezel width. Additionally, this display can be deployed in video walls up to 10×10 (100 displays). The X551UN also offers Intel’s Open Pluggable Specification (OPS), which is the first industry-wide standardization in option slots that allows easier installation, use and maintenance of digital signage. Endless configurations: Display one video over the entire video wall or separate videos on each panel. Call 1-888-573-6847 for Rental Information.